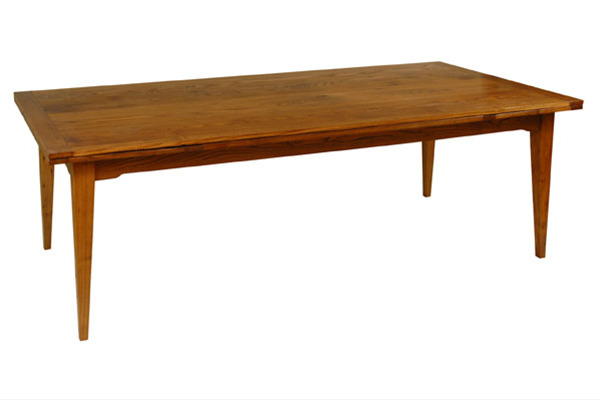 Recycled chestnut dining table with 22" leaves that self store under the ends of the table. Simply pull out and snap up into place on custom made wood and steel runners. Opens to 11' when extended. The recycled chestnut has a warm glow and 'instant antique' feeling. One of our new, practical and elegant designs using recycled as well as new lumber. 42" x 90" x 29.5"